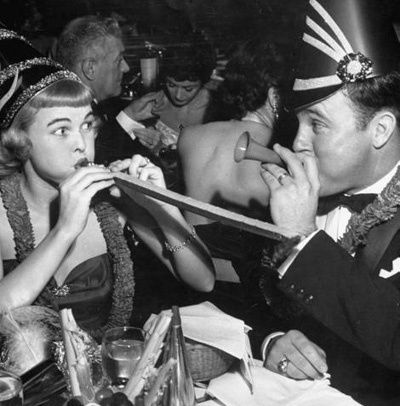 Wishing you a safe and fun New Year’s Eve! 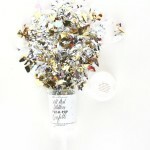 Just in time for your New Year’s celebration we have found the “all that glitters push-pop confetti” from Thimble Press. …and did we mention it glitters? 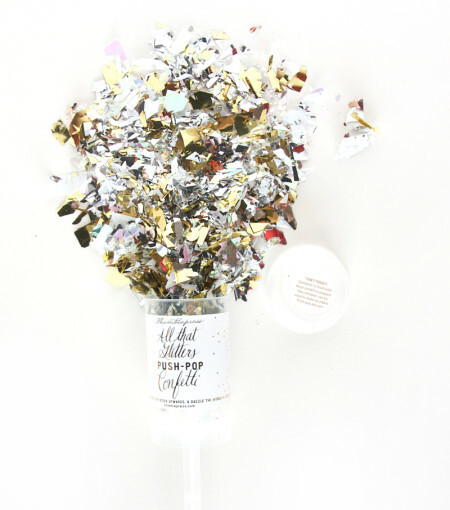 Find the Push-Up Confetti from Thimble Press here. 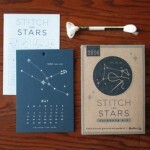 Find all the great products from Thimble Press here. 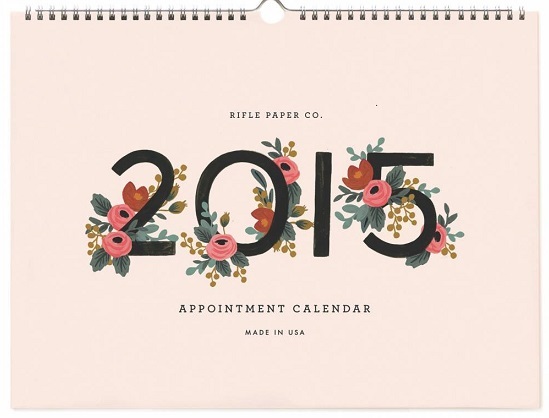 I love the Everyday 2015 Appointment Wall Calendar I found from the Rifle Paper Company – the perfect wall calendar to keep track of your busy life. 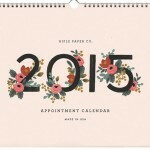 See all the great calendars and other fine paper products of Rifle Paper Company here. 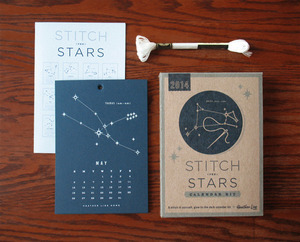 You have to love a calendar that is also a craft project – like the 2015 Stitch the Stars Calendar Kit I found from Heather Lins Home. See all the inspired designs of Heather Lins Home here. I love sending New Year’s Cards to my friends and family. 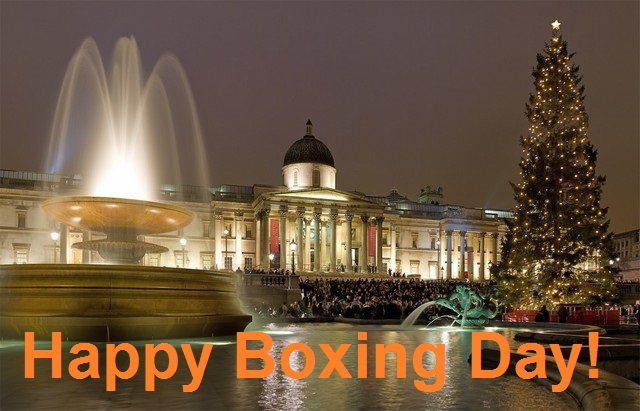 In the week following Christmas – or right after the first of the year – the arrival of a New Year greeting is a nice surprise for people. 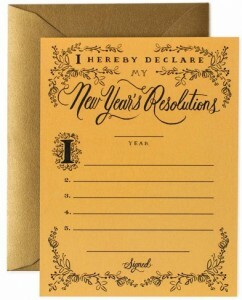 I love this “Resolution Constitution” New Year’s Card I found from the fine folks at the Rifle Paper Company. 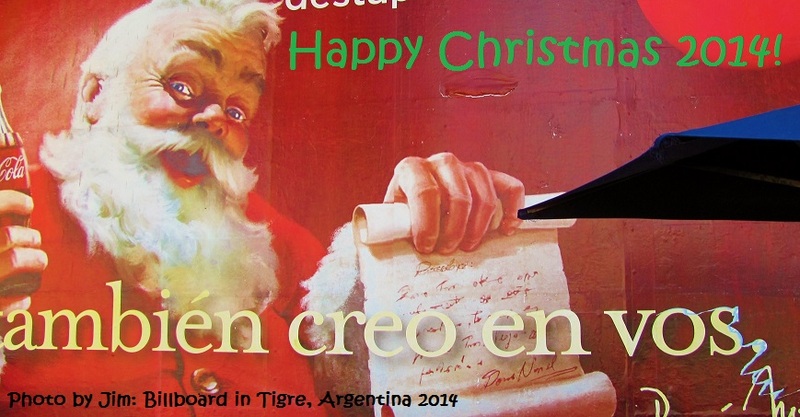 Having a stock of New Year’s cards on hand is a nice way to follow-up with folks who sent you a Christmas Card when you did not. 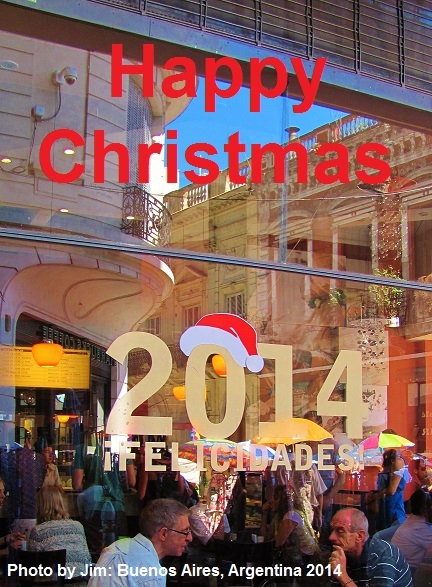 See all the great greeting cards and other fine paper products of Rifle Paper Company here. Merry Christmas from Lost Cowboy! The Deer Antler Cigar Desk Set from The Hanger Project. Last but not least… The National Lampoon’s Christmas Vacation Pint Glass from Urban Outfitters. Write a letter to Santa and Macy’s will donate to Make A Wish with their Believe campaign. A classic ABC wooden blocks set from Uncle Goose. The Personal Christmas tree from Give Simple. Help children live – support St. Jude Children’s Research Hospital. Lost Cowboy is powered by	WordPress 5.0.4 and delivered to you in 0.993 seconds using 54 queries.